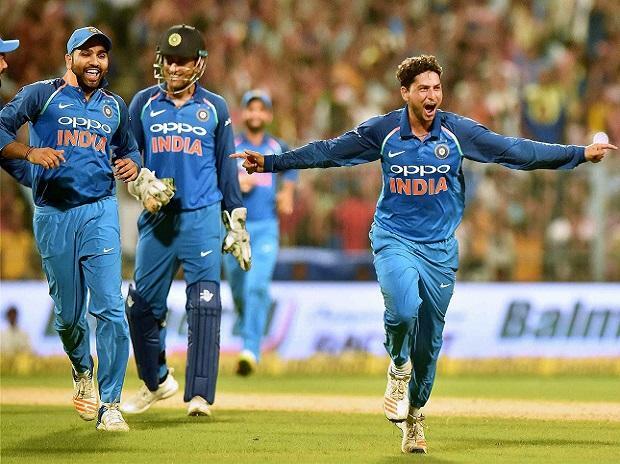 Kuldeep was aware that the ball would grip and not turn much as he returned with man-of-the-match figures of 3/13 to restrict West Indies for a small 109/8 en route to an emphatic win on Sunday night. "It is a massive, massive advantage when you have played a lot of matches at a venue," Kuldeep said at the post-match news conference. Bowling in tandem with debutant Krunal Pandya, the 23-year old snared the wickets of Darren Bravo, Rovman Powell and skipper Carlos Brathwaite to reduce Windies to 63/7 inside 15 overs. The Kanpur-born Kuldeep was handed an Indian Premier League contract in 2012 by the Mumbai Indians, but he failed to make the playing XI in his debut season, despite making headlines for beating Sachin Tendulkar with a wrong one at the nets. Transferred to Kolkata Knight Riders two years later, Kuldeep warmed the bench in their second IPL-winning campaign, only to make debut in a Champions League match against Lahore Lions in Hyderabad on September 21, 2014. Since then the left-arm unorthodox spinner has become a vital cog in KKR's attack and formed a formidable pair with Yuzvendra Chahal in the Indian limited overs set-up. Yadav came up with a special trick when he bowled a front-of-the-hand delivery at speeds clocking more than 100 kmph. Kuldeep, who had started off with left-arm pace bowling in his formative years, said the ball has been a work in progress since his under-19 days. Chasing the paltry total, India survived a scare from Windies debutant pacer Oshane Thomas who removed both the openers -- Rohit Sharma and Shikhar Dhawan -- for 16 inside the third over.